No matter how many times I come across a “barn find” or, in this case, a “disused factory” find, it never fails to prove intriguing. This one is simply amazing, and the pictures are drool-worthy. 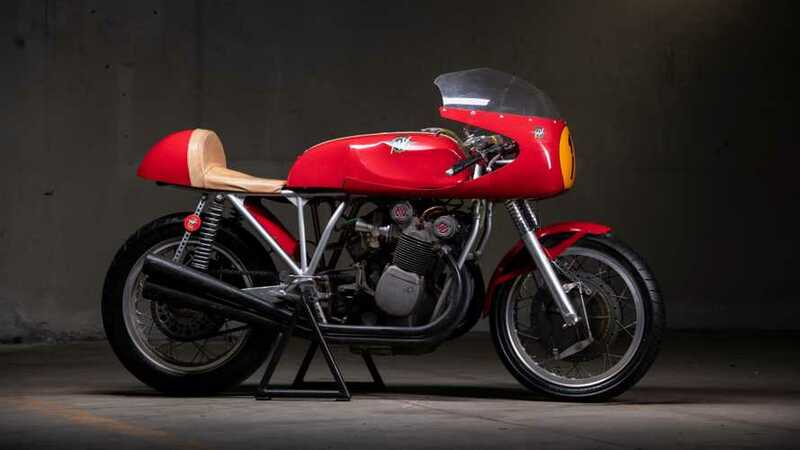 This particular collection of about ninety classic MV Agusta motorcycles is the work of an Italian family and took them fifty years to accomplish. It is believed to be the biggest of its kind. It is being sold in Paris on Saturday February 9th (buy your plane ticket now!). The bikes are a comprehensive collection of the history of the marque and the oldest date from 1945. Artcurial Motorcars will sell them all off at the Salon in Paris at the “retromobile” sale. They are also selling the last MV Agusta F4 ever built. Estimated prices for the machines range from 3 000€ to 250 000 € (~$3,400 to $286,000) each. It’s certainly not a popular marque in the states but it has its fans, and these motorcycles are still produced (on Lake Varese in northern Italy) and imported to the US today. They are very Italian, and can hold their own next to Moto Guzzi, Aprilia, or Ducati when it comes to gorgeous motorcycles. These classics are, as expected, equally beautiful. The family who collected these motorcycles suffered a multigenerational love for the MV Agusta brand. The current owner’s uncle worked in the family’s MV garage, and, later in life, raced the bikes in the Giro d’Italia and the Milan-Tarento races. This gentleman, with an extreme interest in the marque, bought up bikes that were worth very little at the time.The older they got, the more their value increased. He had to rent a disused factory near Monaco to store his incredible, extensive collection. He had most of the machines restored by ex-MV Agusta mechanics with no thought to the cost. 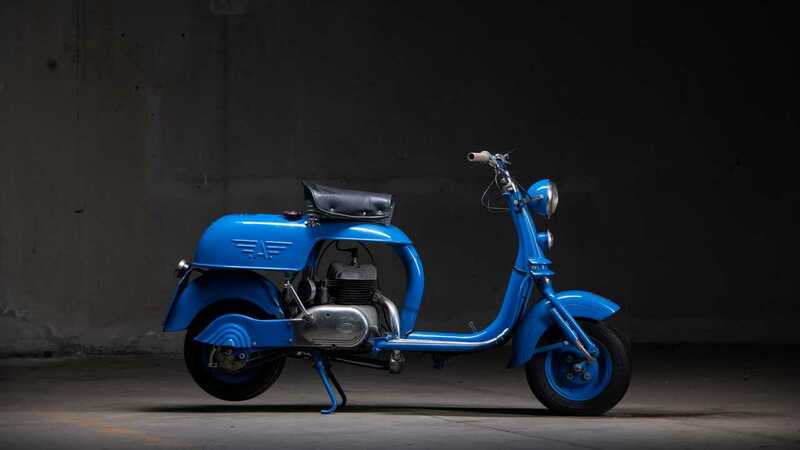 They are presented for sale in running condition, and have certificates of conformity issued by the MV Agusta museum. Many of these machines were originally hand-built by Arturo Magni himself. The current assortment contains a 750S as well as one-off models, small scooters and road bikes. The current owner claims to have an example of nearly every production model, some unique machines and several factory prototypes, and declares his to be the largest MV Agusta collection in the world.